Do you often find yourself in state of panic about what to buy for the kids in your life? Don't fret! The North Shore has many unique, independent toy stores that can help you find the perfect gift for children of all ages. If you'd rather skip the big box store madness, then this list is for you! Beanstalk has all the toys, games, crafts, and books loved by newborns through 8 years. The also carry a great selection of baby essentials including strollers, bassinets, car seats and bath care. Known for the customer service and free gift wrap, customers delight in the store's unique offerings and magical ambiance. Owned by a mother/daughter duo, the Village Toy Shop is a beloved treasure in Winnetka. They provide exceptional customer service, awesome gift wrapping that includes fun little treats and are always loaded with great suggestions. Choose from a wide variety of board games, science kits, crafts, magic kits, books and more. With an emphasis on the creative and innovative, Hip Hip Hooray is a children's toy store that also sells gift items, costumes, dress up, personalized items, party favors, a diverse selection of children's clothing for newborns to tweens and more! From the same owners that brought you Hooray Array in Northfield; this new reincarnation continues to delight children of all ages. Free gift wrap. From classic to trendy, to infants to teens, the Children's Gift Shop is your one stop shop for indoor and outdoor toys, books, games, crafts, construction, brain puzzles and more. 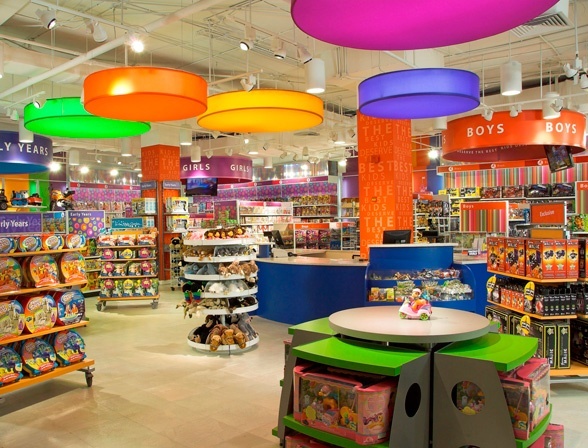 Their toy experts have real hands-on experience that will help you find the perfect gift. Free gift wrap. Beat Street has toys you won't find at any big box store. And, it has the biggest and best selection of stocking stuffers you will find anywhere! A family owned and operated toy store offering thousands of products that engage, educate and promote creativity. Having trouble finding an item, chances are you will find it. Plus tons of other unique items that will not find anywhere else, and free gift wrap to boot! Becky & Me Toys is committed to encouraging play that is real (not virtual), that is active and creative, and that is focused on the concerns, ideas and interest of children. All of the merchandise is hand-picked by the owners, a mother and daughter duo who both have backgrounds in education. They carry a wide selection of toys, books, games and more for babies through teens and happy to assist their customers in selecting developmentally appropriate toys. Geared more for babies and toddlers, this store has got it all. A huge selection of infant gear and essentials as well as educational toys, puzzles, crafts and did we mention shoes?